With over 7,000 islands in the Philippines, it's not surprising that some of them are not only spectacularly beautifuly but also virtually unknown. One of these gems is Kalanggaman Island. It's part of the Central Visayan group, situated between the much larger Cebu and Samar. Check out this spectacular island from a bird's eye perspective, compliments of contributor Travelvlogs. As you'll see from the video, it's a magnificent little tadpole-shaped bit of tropical paradise, with a sand bar for a "tail". 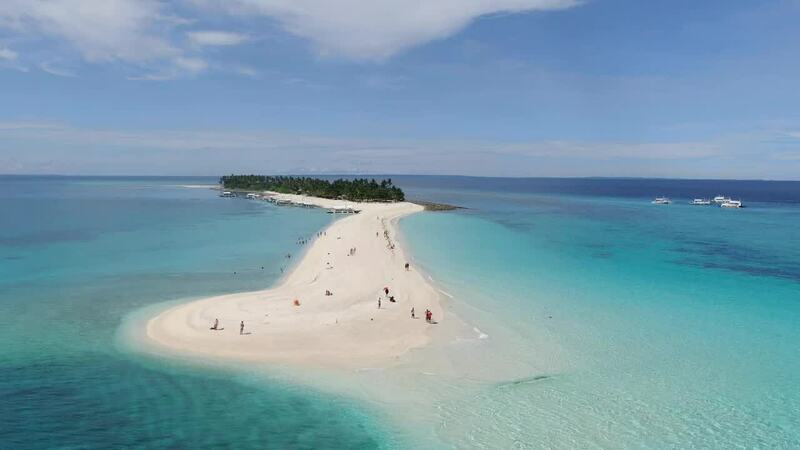 Description: Stunning Kalanggaman Island, Philippines.